My friend Terry at Spearfruit nominated me for a MakeItUltra™ Blogger Award. Terry has become a real friend even though we have never met. His blog is about his life which has seen some tremendous struggles. Terry beats himself up for not always being bright and sunny and grateful and positive. Terry denies that he is an inspiration. Terry lives in an RV in a trailer park in Florida – he was meant to be travelling the country with his husband and their dog Roxy. But Terry has Cancer so instead they are static whilst he undergoes the rigours of Chemotherapy treatment still with the threat of the most major and invasive surgery hanging over his head. I encourage you to visit his blog and I think you too will be inspired (even if he thinks you won’t, because I am always right) by this engaging and sweet man who thinks that he isn’t good enough. He’s good enough for me – and one day we will meet and we will talk nonsense and eat cupcakes and ice-cream and for this reason Terry has to get well. 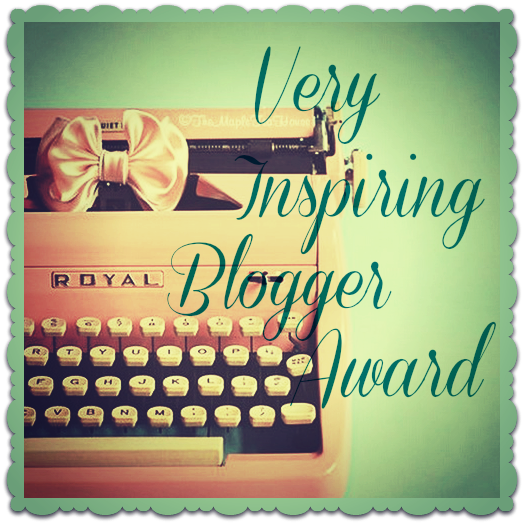 – Thank the person who nominated you and post a link to their blog on your blog. Take a moment to positively promote the person who nominated you. – Display the award on your blog by adding it to your post and/or displaying it using a widget on your page (Save the image to your computer and upload it to your blog post). Don’t forget to use the tag #MyUltraAward when you make your post! 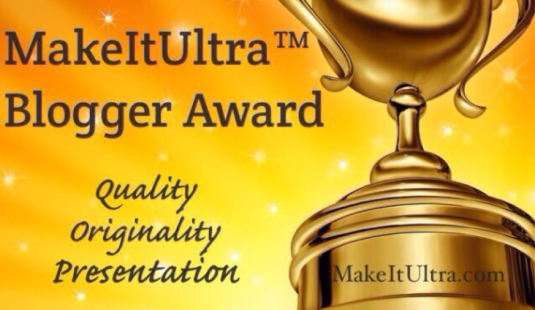 – Answer the following MakeItUltra™ Blogger Award questions and then nominate 1-8 blogs that you feel deserve the award and provide links. What is your name: The name I use for blogging is Osyth which is actually my middle name. It is my mother’s middle name and that of my eldest daughter. We pronounce it with a long O as in Oath rather than a short O as in Odd. It is not my nom de plume though I have published one book in France under it. I prefer people not to use my actual Christian name when commenting, even if they know what it is. I’m intrinsically a very private person, despite appearances and I prefer not to reveal my all and ooh-la-la on the net. You can just call me weird – I’ll answer! Where are you from: I was born in England and was raised in the village that Kenneth Grahame of ‘The Wind in The Willows’ lived and I can report that Toad Hall really does exist though disappointingly, I have never managed to find Ratty at home nor out boatin’ when walking the riverbank there. Most of my adult life was lived in and around Oxford with a few years in London and an 18 month stint in Rome before I had my family with whom I became a reluctant nomad moving almost every year and seldom by choice. Three years ago I moved to Cantal a sparcely populated area of Southern France and it is the place I call home because it speaks to my heart and it feels like I think home is supposed to feel. However, this year has mostly seen me in Massachusetts and if things go according to plan I will be returning to New England next year and making a nuisance of myself for a further year or two. What are you most proud of: Of course I am proud of my daughters (four and all beautiful and hard-working which given the aforementioned unsettled gypsy life they led in childhood is remarkable) and my husband (with both his brains) and my dog (tiny, feisty and stupidly cute or cutely stupid depending on the mood of the writer) and all the usual things but mostly I think I am kind and decent which seems a simple enough thing, commonplace even, except that I rather think it is becoming a rarity in this modern world of ours and so I am perfectly satisfied to still be that unselfish person and I wouldn’t want to change even though it can leave me depressed and deflated by the actions of others. How long have you been blogging and why did you first start: I started the blog on a whim just after I moved to France so about three years ago, and it has evolved in a wholely organic way and probably reflects me fairly well by which I don’t mean that I am a pesticide-free plant or a seaweed-fed sheep but that there is no particular form or discipline to it. It’s not a cookery or an art or a photography blog and it’s not a diary nor a retrospective of my life, it is not designed to teach anything nor to sell a product or service, it is simply a place that I can share some of the stories that rattle round like marbles in my empty head. I’m rather proud of the little following I have achieved but am perpetually anxious that I let people down with my inability to blog to a pattern. What are your blogging goals: I honestly don’t have any. I didn’t expect anything from it and I still don’t. Which means, with no expectation, everything about it remains a joy. How do you spend your free time: I love being outside. My joy is hiking and I do run (though crimson-faced struggle is a more accurate description) but I had an accident 3½ months ago which has left me unable to do either and extremely tough to live with. I have a small house in France bought as a maison secondaire which we are doing up slowly, carefully and often frustratingly and I am also doing up our house in Massachusetts which is proving even more frustrating. I read, of course – anything and all things. I cook. And I dream. Mostly I dream …. In terms of nominees for the MakeItUltra™ Blogger Award, I am going to follow Terry who in turn followed the lead of Chatty Kerry who nominated him (she’s pretty wonderful too, by the way) and I’m going to pick just one perfect fruit. It’s difficult, I have so many that I love but today I’m picking Susan at Our French Oasis because her blog is beautiful, because she writes of life in France in such a lovely, beguiling and evocative way and illustrates with beauteous photographs and mostly because she has a heart that seems similar to mine and this is after all about me, me, ME! PS: Because there must always be a PS – the title I have chosen is a line from Jack Keroauc who was born in Massachusetts. It comes from ‘The Dharma Bums’ and has always haunted me ‘one day I will find the right words and they will be simple’. When I can achieve that, then I will deserve an award. Congratulations. You definitely have quality content and are deserving. Cheers! Thank you so much – that’s a lovely compliment which I shall treasure! Mille mercis – tu est trop gentil! Banish that thought – it’ll give you nightmares!!! 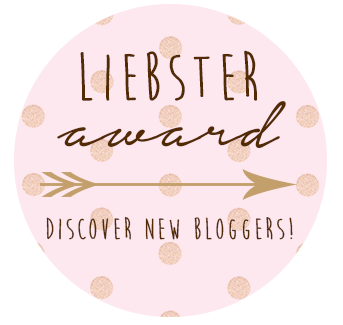 Well deserved , and even if you feel you haven’t found the right words yet – simple or not – I do love the ones you have been writing so far (or I wouldn’t have gone back and read almost all of your blog posts) and your amazing photos. Well deserved indeed. I am always pleased to see your blog heaving up over the horizon in the reader and pay it the compliment of waiting to read it until I am supplied with a cup of tea and perfect peace in which to enjoy it. I shall certainly visit Terry’s blog and that of Chatty Kerry. The French Oasis one I know of already. Helen! That is the highest praise and I am extremely flattered …. thank you. Terry is a lovely fellow and Kerry a lovely gal. And by the way, I always wait until I’m suitable comfy and unpeturbed to read your equally welcome writing when the muse visits Costa Rica! I’m a picky old bat…but I know what I like! Congratulations O. Well deserved. I love your blog and have missed it recently. Hope you’re healing well and the award helps. You are a perfect fit for the award. i always, always enjoy reading your words in the gentle way you have of bringing to life your adventures. Keep on blogging for yourself, and I can assure you that they rest of us are anticipating your next post with the same delight as a child waits for Christmas Day. Claudette, that is the sweetest compliment and I thank you from the bottom of my heart. You are one of the lovely things this journey has brought to me and I am glad for it. Aw, thanks Osyth. it is good that we all find fellow travellers of life and connect, one of my favourite things from blogging. Such a beautiful post, Osyth! 🙂 Terry sounds like an amazing person, I really wish him well – I have to head over to his blog now. Thank you so much! Terry is amazing and I do hope you will enjoy his blog. He writes from the heart which should appeal to you! Thank you Derrick, most kind. I enjoyed reading more about you – and it was good to find out exactly how to pronounce your name! I will pop over to Terry’s blog now and have a look – he sounds like a great friend. Yes, it’s an odd name … there is a whole story to St Osyth which I will share one of these days in the context of why my Grandfather started this tradition of bestowing it as a middle name for a daughter in my family. I’m glad you enjoyed the post and I do hope you will enjoy Terry’s blog. He is a lovely guy. That sounds like it’s going to be an interesting post about the family history and the name. I love your posts and am never disappointed by your inability to stick to a posting pattern. I don’t want to read every Thursday or whatever, I like the surprise of having a little blog gift just turn up in my in box! Thank you Lindy … that is a lovely thing to say and a relief that I can continue being a bit scattergun and discursive which is my nature how ever much I might crave order! Thank you and hope that you are still in one piece after the rigours of the storm though I understand it kept its worst for the islands rather than the mainland. Actually I think the correct Anglo-Saxon is the way you say it but we prefer the rather more Upper Crust long O 😉 The power of all our thoughts and prayers will surely see Terry through. He is a wonderful guy. You deserve much credit as you have inspired me to keep dumping my brain stew onto the grease stained pages of my blog! Vinny doesn’t mind as he gets to clean up! Thank you. I am so happy to inspire you because you have a great creative spirit and talent that was begging to be heard and listened to. And Vinny is the envy of The Bean if he gets greasy pages to lick! I do enjoy visiting your blog… for all the reasons you are blogging… and mostly because you bring that JOY you’re on about! Get well soon… the outdoors misses you! Aww! Thank you so much. Almost always is a good hit rate for the right words, I think! I love having you along for the ride and as you know I particularly enjoy your blog too. Rants and all! As for the leg …. well you know all about injuries – far worse than mine so I shall wash the mouth out with soap and water and take a break from moaning. At least with my funky new Allard Brace I can walk normally and in time I’ll be able to hike and to run again. But not for a while so I have to exercise patience. It’s a virtue apparently! How lovely to learn so much more about Osyth and to find out that I have been pronouncing it in my mind incorrectly all this time – I’ll have to get used to going from Odd to Oath 🙂 As for the Wind in the Willows, just another connection that makes us almost joined at the hip. My favourite book as a child when my imagination ran away as I lived in Toad Hall. Kismet indeed! We must discuss at the first opportunity …. I almost suggested Oaf rather than Odd but I thought it too distracting! I think it is correctly pronounced as you have been in its original Anglo Saxon but for whatever reason we have taken our own line. I’m glad you enjoyed the little scratching of my veneer. I occasionally enjoy sharing a little more of self! Thank you so much! It was hugely appreciated and is a great idea! Hearty congratulations keep it up. Thank you so much! That is really kind of you! Congratulations Osyth. You well deserve it!! Hi Osyth, you are a gift to the mother earth with an abundance of positive energy in you. You are always very inspirational!! Thank you – that is a humbling and delightful thing to say. You are an outstanding woman in every way. I value your comments, sharing your heart and soul in many aspects of your life. You use self-deprecating humor; as well as outright fun spirited, joyous laughter at life and it’s frailties. That is SO true and it underlines the lesson that we should love what we have in life, take what we can in life and appreciate it all rather than wishing for what might or might not be along the road or over that fence. Thank you! I was rather chuffed! Thank you so much! I’m glad you enjoyed the pictures …. the words are usually drivel chez moi 😉!! I truly enjoyed reading this and finding out a little more about your life and times. And I know your dreams will take you to all of the places you cannot yet travel because of that nasty injury. Take care and hugs to your darlings from all of us here in South County.